If your doctor don’t order the lab tests you need there are private labs where you can order thyroid and many other tests yourself without doctor’s referral and insurance. Currently the lab tests are offered for the US, UK, Canada and some tests are available in other regions. Some tests come with a FREE results interpretation included or you can add test result interpretation by a Functional medicine practitioner to your order. If you do not know where to start one of the lab’s doctors can help you to pick the right test(s) for you and supply you with a List of doctors the Labs recommend. Learn about comprehensive thyroid testing and 3 Autoimmune Blood Tests that are the key is to get a clear picture of the individual’s unique immune system. Hypothyroidism Revolution was created by Tom Brimeyer, a Functional Medicine Practitioner for people with hypothyroidism and autoimmune Hashimoto’s disease. Tom successfully recovered from hypothyroidism and after helping thousands of people to achieve the same amazing results he is now on the mission to help 1 million people. Would you like to be one of them? Read an exclusive interview Tom Brimeyer gave to my blog Outsmart Disease about Hypothyroidism Treatment That Works and how his program is different from other thyroid diets and treatments. Tom Brimeyer introduces his research-based hypothyroidism diet and treatment process that stops hypothyroidism directly at the source. Learn about the very same diet and treatment process that already worked for his and every single one of his 17,000 clients, including those suffering from Hashimoto’s thyroiditis. Karen Brimeyer, Holistic Nutritionist and Functional Medicine Practitioner introduces her proven system for healing leaky gut syndrome naturally and permanently. Leaky gut is an underlying cause of many chronic conditions and unexplained symptoms including autoimmune diseases and Hashimoto’s thyroiditis. 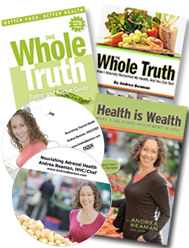 You can watch a FREE Video presentation, get 2 FREE Reports and Leaky Gut Cure program on her website. Hypothyroidism Exercise Revolution was created by Tom Brimeyer, a Functional Medicine Practitioner and is the only safe way to exercise and boost your metabolism if you are hypothyroid. – commonly believed exercise myths that you need to let go of in order to understand how to properly and safely use exercise to your advantage. – common types of weight loss diets that have been promoted for decades now as healthy ways to lose weight but actually can do more harm to your thyroid than good. – how exercise affect your thyroid and other hormones, hypothyroidism exercise strategies and a complete exercise program. Video program on how to lose weight with hypothyroidism Fat Is Not Your Fault created by an industry leading weight loss expert Dr Bryan Wash will help you to understand and identify ALL physiological factors that can affect your thyroid function and may prevent you from losing weight. Did You Try Yoga For Weight Loss? It reduces stress which has a huge impact on your ability to lose weight and support your thyroid. It is a strength-based activity that helps you to build muscle and this is a well-known fact that muscles burn more calories than fat. By following a continual practise your muscles will also begin to lengthen and get toned leaving you looking slimmer. It has a restorative and relaxing effect and helps with a better sleep. You lose weight when you sleep and if you have insomnia or a low quality sleep it can negate all your weight loss efforts. Get this bundle package together and save $20! – tells her inspirational story on how she successfully healed her own debilitating thyroid disease and how you can do it too. Her Nourishing Your Thyroid enlightening group coaching program designed for all aspects of thyroid health where you’ll learn how to reclaim your energy and naturally balance your thyroid. She runs it yearly, and it’s coming up soon – starting date is 19th of April 2019. Andrea will work with you one-on-one to create a step-by-step path to wellness, and support you through dietary and lifestyle adjustments designed to help you live life deliciously. It is vital for Hashimoto’s patients to avoid iodine supplements and for some people to restrict iodine dietary intake in order to heal inflammation. You can read about iodine and thyroid in the FREE Nutritional guide for Hashimoto’s disease. Patients who need to be tested for thyroid cancer also have to go on the low iodine diet before the procedure. Thyroid Cancer Survivors’ Association provides a FREE download of Low iodine Cookbook in PDF format. Starting a gluten-free diet can be challenging because many foods people eat on a daily basis contain gluten. Even if you strictly avoid gluten, it’s nearly impossible to remove gluten from your diet completely because it is literally everywhere! Gluten is a resistant to digestion protein that cannot be digested by humans. When gluten protein reaches the small intestine it can create intestinal damage and many other non-digestive symptoms in people with celiac, gluten intolerance, wheat allergy, autoimmune disease, Hashimoto’s thyroiditis, hypothyroidism and even in some otherwise healthy individuals. However, there is a new natural compound which has the ability to break down the outer protein layer of gluten and make it digestible protecting your intestinal lining even if you were exposed to gluten. Isn’t it amazing that this became possible and now is available to you? Gluten Guardian is the most potent gluten-digesting enzyme that contains DPP-IV and allows to digest gluten and casein. For people who react to gluten it can become the life-saver when it comes to protecting yourself from gluten exposure and gluten-induced intestinal damage. Best of all it will allow you to enjoy your food without a fear of bloating, indigestion, weight gain and another autoimmune flare-up. Also do not forget to visit our Holiday Gift Ideas page!